New year, new you, and new ways of searching for your dealership online. There are predictions that voice search queries will account for between 30 and 50% of all searches by 2020, so it’s safe to say that Google will be expanding their speakable schema’s (structured data vocabulary that helps search engines better understand what you’re looking for on the internet) features to be useful for dealerships. We’re monitoring this schema to see when it’ll be ready for us to use to help you stay at the top of the list in search results. According to a recent article in Forbes, “Voice is taking over, and it will transform how your customers find and interact with your brand.” Read on to discover how your dealership can evolve its digital strategy alongside the rapid growth of voice search. Remember in 2011 when Siri emerged as a novelty voice-activated tool that people would use mostly for entertainment? 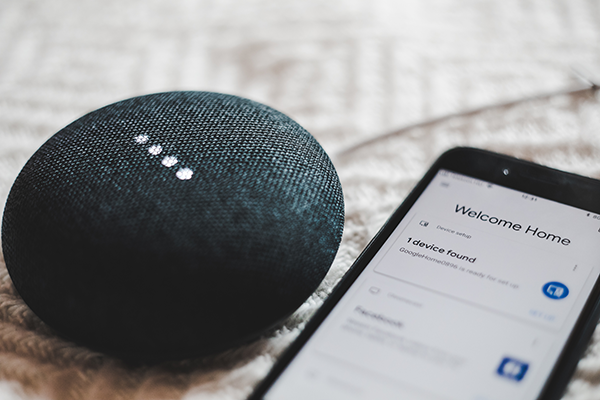 Well, voice search has since evolved into a major digital trend thanks to the introduction of devices like Amazon’s Alexa, Google Assistant, and other voice-activated gadgets. Voice search allows users to ask their smart devices questions, conduct online searches and even order a pizza without having to research online themselves—or even having to lift a finger. We’ve all got that one friend who jokes about being too lazy to turn off the light at night and now they don’t have to. What does voice search mean for car dealerships? People desire ease and convenience in their busy lives. Voice search capitalizes on this convenience to allow for easy multitasking and the ability to get information faster to simplify daily routine. With voice search technology, car shoppers can now inquire about various vehicle details, customer reviews, and dealership information while cooking dinner or driving to work. Maybe you’ve seen the commercial with Amazon’s Alexa turning up the temperature and setting a summer playlist—what’s to stop someone from having Alexa remind them that it’s time to get their oil changed and suggest the closest place to get it done? How will voice searches impact automotive SEO strategies? With voice search on the rise, automotive SEO strategies will need to adapt in order to rank in the very limited, highly-coveted top search results (unlike a standard search engine, voice searches only share between one and three of the top results, so optimizing to rank for those top positions is essential). Voice search optimization strategies for automotive searches will include the integration of long-tail keywords that are more conversational than those created for text-based searches. People speak far differently than they type, so they’re less likely to use voice search for things like “car dealership Lower Mainland” and more likely to ask for “the best car dealership near me” (using location data from the device). As a result, optimizers will need to brainstorm the kinds of questions people might ask related to the target keywords. To optimize for voice search, dealership websites should include content focused on answering common customer questions. Because voice search is designed to be more conversational than traditional searches, be sure to include the natural keywords and phrases that your customers are most likely to ask. Luckily, there are tools that can help your dealership determine effective questions. Answer the Public, for example, allows users to type in a root keyword and returns a map and a list of commonly asked questions related to it. It’s also more important than ever that dealership business listings are accurate and consistent across all directories. This accuracy is a ranking factor for all searches, whether they’re voice or not! So, is voice search optimization on the horizon for automotive? Maybe you think it’s too early to think about optimizing for voice searches. Think again! Are voice commands a future dominator of search queries? It’s safe to say they’ll have a large impact on search marketing, especially considering that Google has plans to add voice query data to Search Console in the future. Further, with the ever-increasing popularity of smart home devices and the resulting voice searches, this is something worth paying attention to in order to capture the attention of younger demographics towards your dealership. Don’t panic! We’ll be keeping an eye on the Google Search Console to ensure that you’re prepared for new voice traffic as this trend grows.